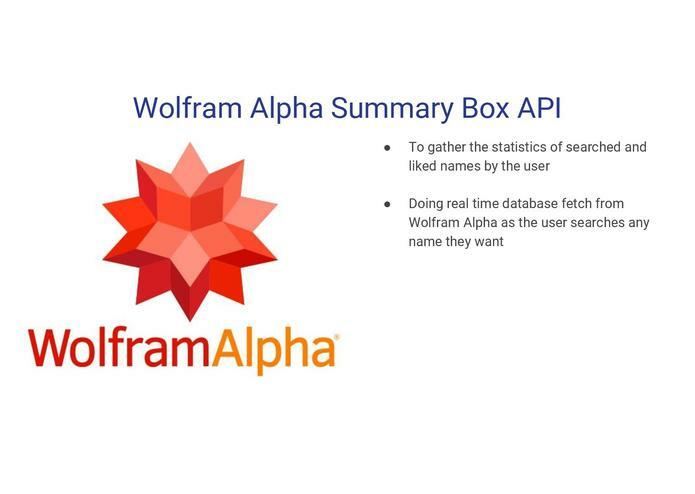 While researching Wolfram APIs, we have found a very interesting API that provides with many interesting data and statistics on various names. 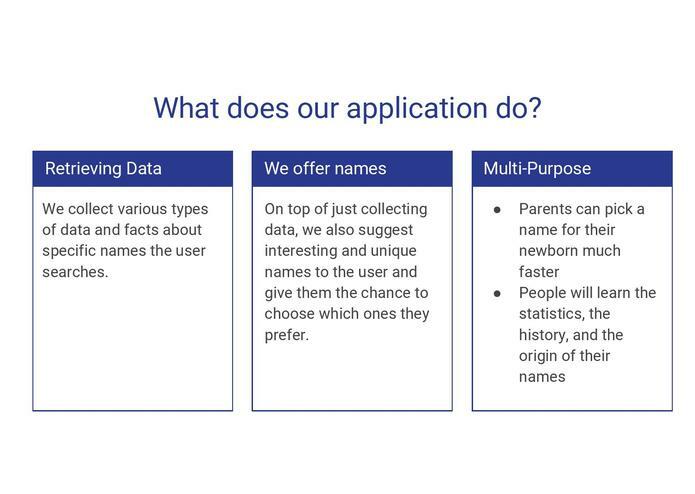 The type of data that we are able to get really fascinated us, thus we started brainstorming on how we could apply this amazing data in a useful way. Have you ever faced the need of finding the meaning of your name, or person who's important to you? Has any kind of name ever grabbed your interest, that you felt like looking it up? Have you ever faced a struggle of choosing a name for your newborn baby? Then you're at the right place. 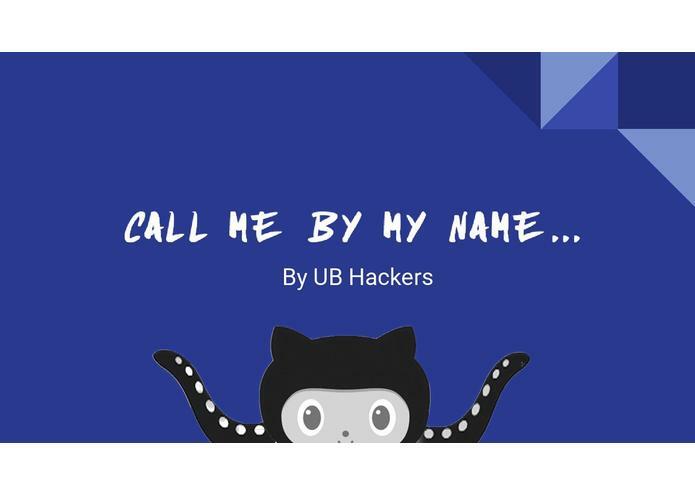 CallMeByMyName is not another plain platform with endless lists of names. Instead, you get a quick walk-through for unique names that might catch your interest. You can sort them into your favorites and fetch all the statistics you can find on the internet at once. Moreover, you can search any random name such as given name, city names, and country names that you want to learn more about. 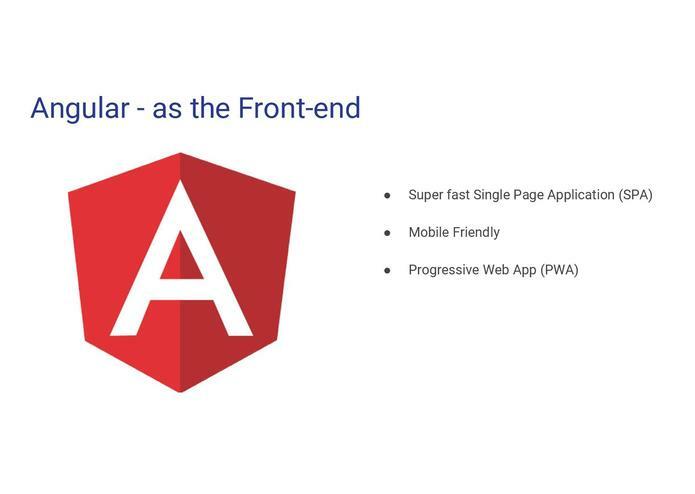 CallMeByMyName is a progressive web app built with Angular and NodeJS that leverages the Wolfram Alpha Summary Box API, Google Translate API and Google Cloud Platform. 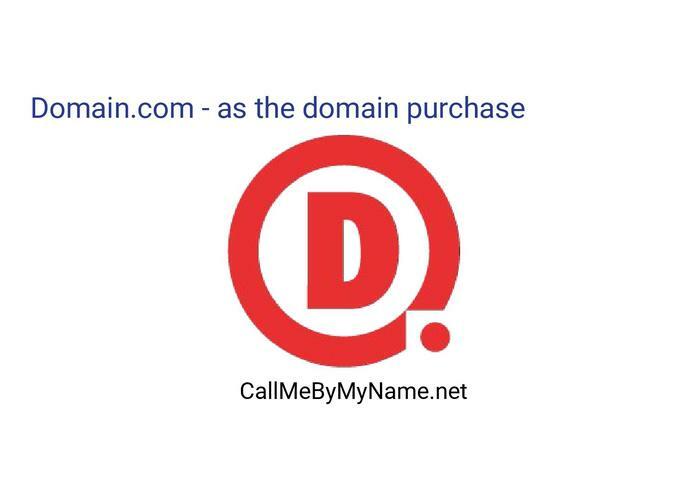 We used a domain from domain.com. 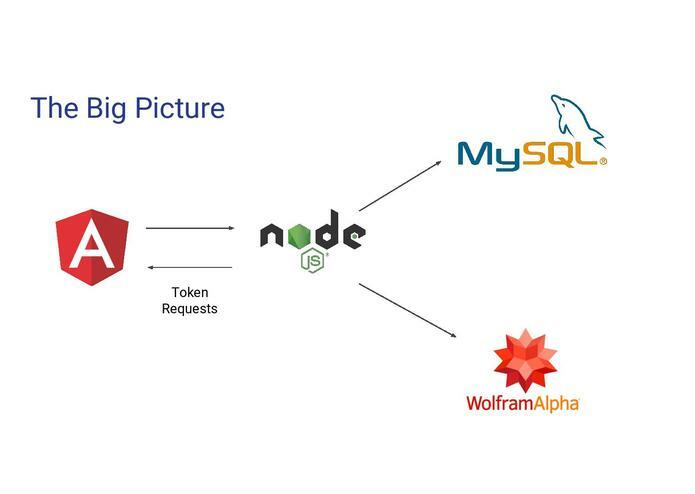 Had a hard time pulling the data using Wolfram Alpha API; we didn’t know that Wolfram doesn’t store it’s picture data. We did an amazing web application that is also works with mobile device fully. 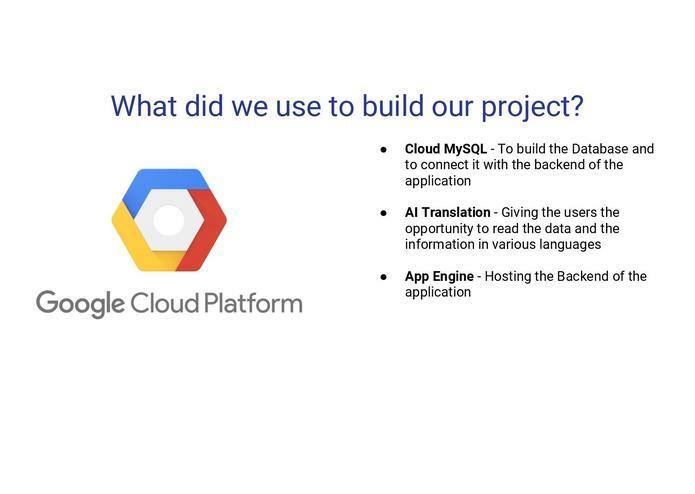 Worked with numerous GCP console applications. 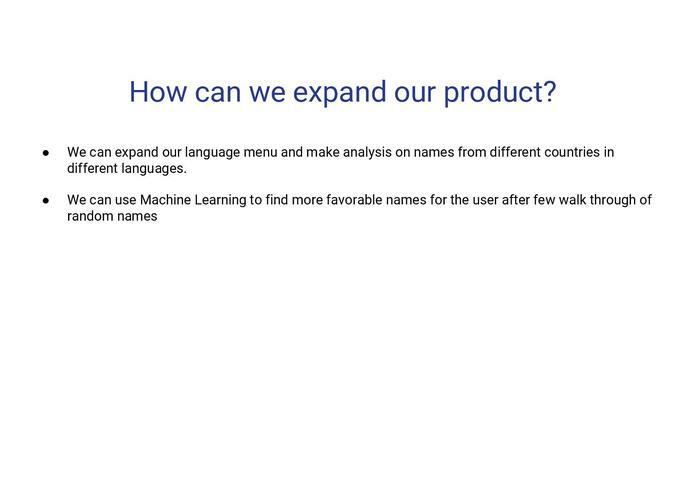 We can expand our language menu and make analysis on names from different countries in different languages. I worked on the Front-end side of the project. Used Angular 7, Material Design and both TS and JS throughout the project. Created full user validation and authentication system and some cool features like theme options. Aside of building a reliable frontend for the project, I focused on user experience and the ways our app could be more fun to use. I worked on the backend side of the project. 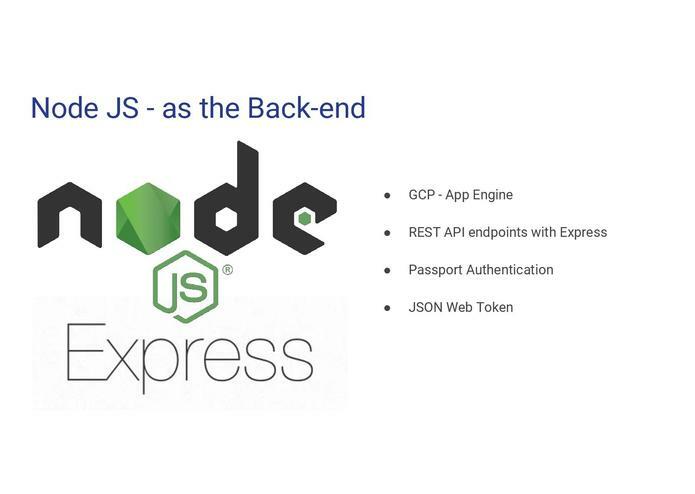 Which included writing the code on Node JS to create the REST API endpoints. Also, database design and populating it with the data that is fetched from Wolfram Alpha database. 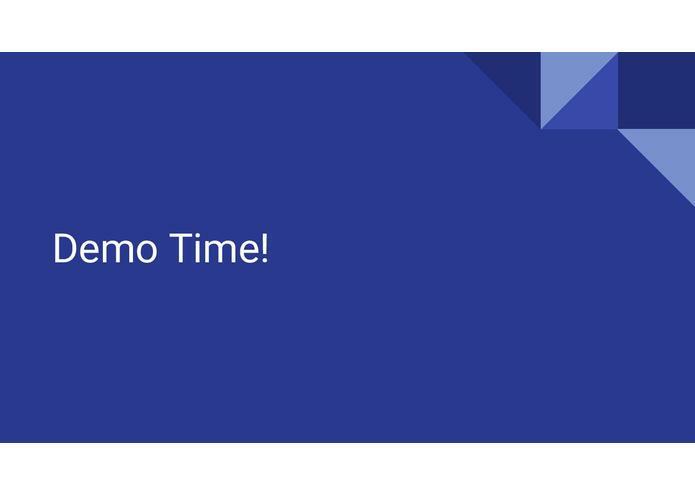 Another aspect that I did was utilizing GCP to deploy the application. 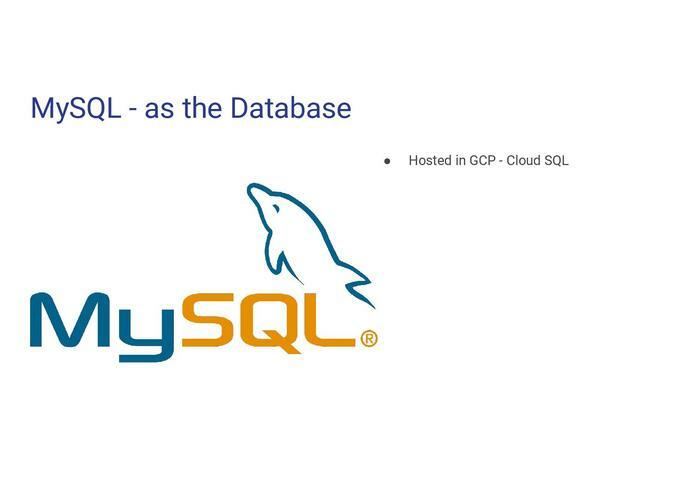 Both database and the backend. Worked on the namelist for the database, collecting datas from wolfram, and design of the project.